PITTSBURGH – The IntegraCare leadership team turned to a familiar and experienced senior living executive to name as its new Chief Operating Officer. Megan Campbell, MHA, NHA, who has been part of the IntegraCare family since 2005, has been promoted to Chief Operating Officer effective immediately. Campbell had been serving as IntegraCare Senior Vice President of Operations. In her role as COO, Campbell will lead all operations, regulatory affairs, quality initiatives and operational enhancement implementation for IntegraCare communities. 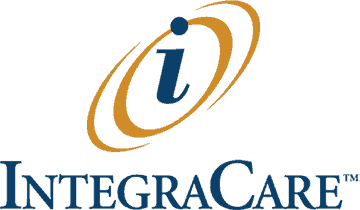 IntegraCare currently manages 10 senior living communities in Pennsylvania and Maryland, with another community set to open in Reston, Virginia, in May 2019. Overall, Campbell has 25 years of experience in senior living. She joined IntegraCare in September 2005 as an interim Executive Director at Newhaven Court at Lindwood, a community in Greensburg, Pennsylvania. “I am honored by the opportunity to apply myself to the challenges that we face as an industry and look forward to doing so with the special group of leaders we’ve assembled at IntegraCare,” Campbell said. Campbell has a Master’s degree in Health Administration with a concentration in Long Term Care and a Bachelor of Science degree in Gerontology. She serves on the Pennsylvania Healthcare Association Board of Directors and is a Co-Chair of the Assisted Living/Personal Care Board. For more information, contact IntegraCare’s Eric Walker, Executive Director of Sales and Marketing, at ewalker@integracare.com or 724.940.5544, ext. 114.